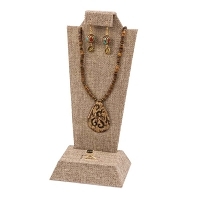 Covered in luxurious black velvet, this 4 piece necklace bust kit is the perfect way to display your necklaces. 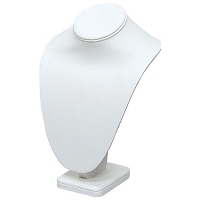 Each display kit includes four necklace busts ranging from 6-¼ inches to 11 inches in height. 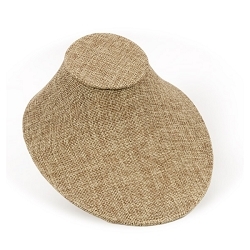 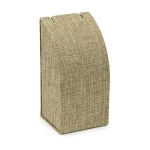 Low Profile Necklace Display Bust Burlap 7-1/4" x 6-1/2"